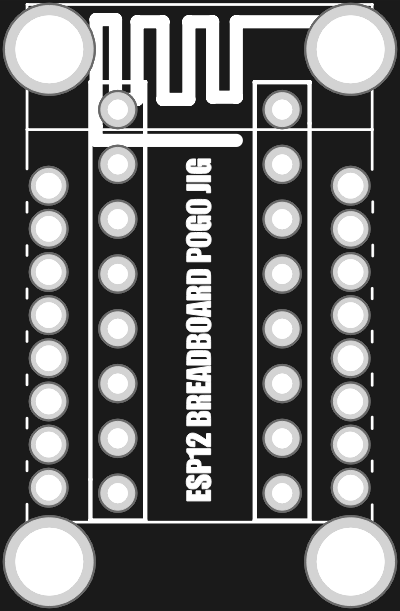 ESP12 Breadboard to Pogo Pin Adapter. Pogo pin holes are 1.14mm, so they should accept 1mm diameter pogo pins. 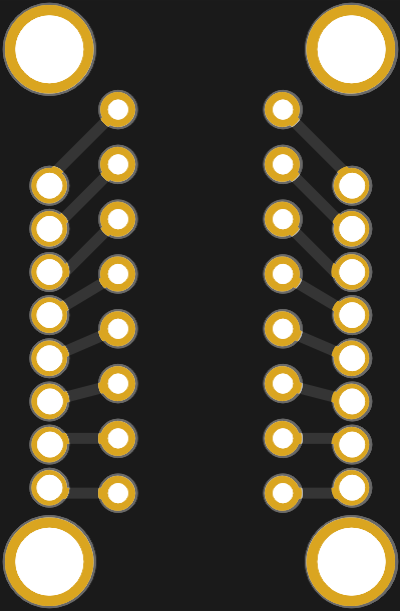 Outer holes accept 3mm screws in case you want to sandwich two PCBs together for stability.